Last month, I announced a major change. I planned to abandon my day job at Read for Good, the Nailsworth-based national charity, to devote my time to writing. “I can’t believe you’re leaving Read for Good!” said some of my friends, knowing what great work it does, encouraging children to read for pleasure (Readathon) and making life better for children in hospital by providing them with free books and storytellers (ReadWell). “I can’t believe you’re giving up a part-time, term- time job – every working mother’s dream!” said others. No-one was surprised when, in the run-up to my last day at the office, I hedged my bets by cheekily appointing myself a Read for Good ambassador. That’s how it came about that during my first full week of supposedly writing full-time, I enjoyed not one but two excursions on behalf of the charity. 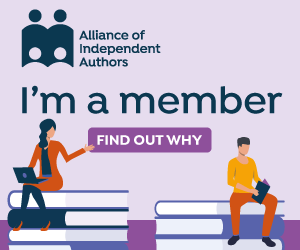 On Wednesday 9th October, I was invited to join two other local writers, Katie Fforde and Simon Sheridan, on BBC Radio Gloucestershire’s excellent Chris Baxter Show. The DJ engaged us in wide-ranging discussion of children’s literacy and publishing trends, giving me the chance to explain the work of both Readathon and ReadWell to a county-wide audience. To stop myself getting ideas above my station, I lunched afterwards at McDonald’s in Stroud. It seemed a good way to bring myself back down to earth. Two days later, on Friday 11th, I was back at the Festival, this time in the Queen’s Hotel for Read for Good’s fundraising reception. 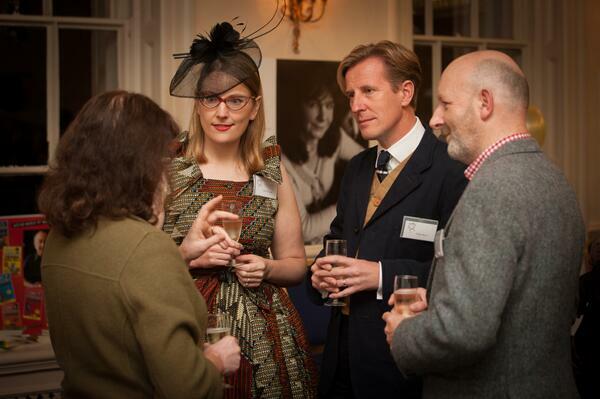 My role was to chat up the guests, which included award-winning children’s authors and illustrators such as Nick Sharratt, Philip Reeve and Sarah McIntyre. 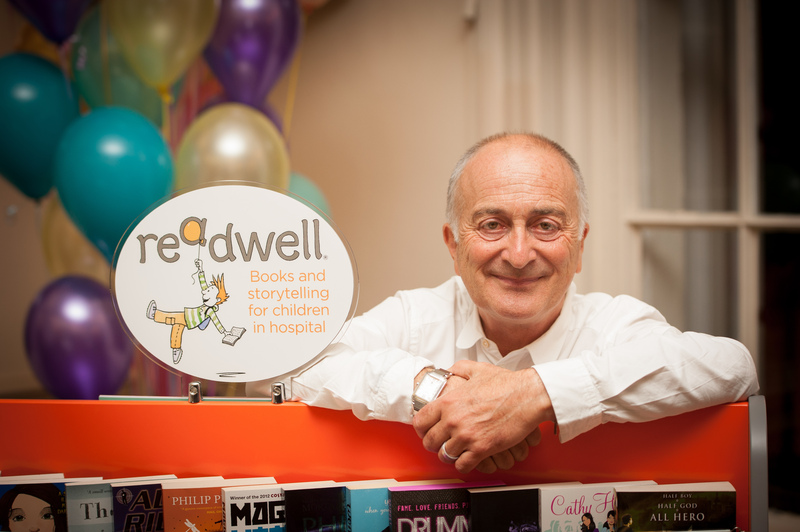 Read for Good’s new patron, the actor and author Sir Tony Robinson, inspired us all with a passionate speech about the power of books for young people. He cited his own experience of bunking off school as a teenager, in order to spend more time in the library! 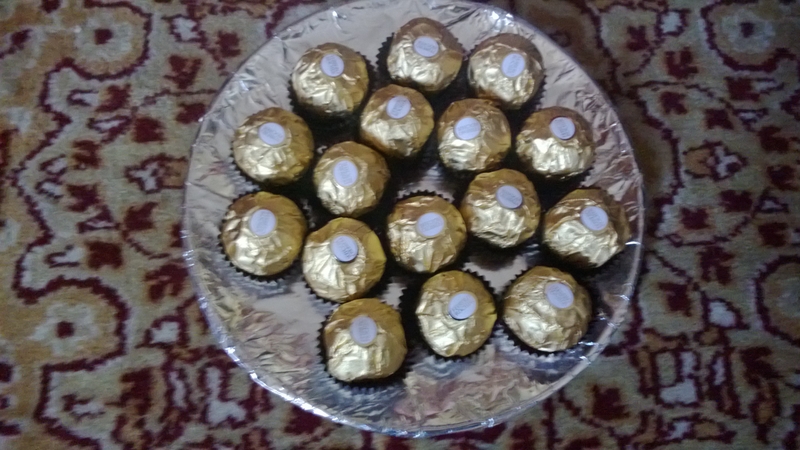 By the way, I’ve discovered it is IMPOSSIBLE to stack Ferrero Rocher into a pyramid as they do in the television advert (strapline: “Ah, Ambassador, with these Ferrero Rocher you are truly spoiling us). I think they must use blu-tak. To find out more about the BBC Radio Gloucestershire broadcast and to hear a recording of it, click here for my previous post about it. To get involved in the great work that Read for Good does encouraging children to read, visit www.readforgood.org. For further research into Ferrero Rocher, go to your nearest sweetshop. Go on, you know you want to. Now we’re all going to be trying to stack our Ferrero Rocher… LOL! Good job in keeping your finger in the pie and happy full-time writing to you, Debbie! Which means we have a great excuse to buy more too, Laura! Now why didn’t I think of that? Great suggestion, Jacky!